JOSEPH KABILA KABANGE, President of the Democratic Republic of the Congo, paid respect to the victims of the terrorist attack in Kenya before pointing out that the international community was marked by several serious challenges. Indeed, critical consideration of the successes and setbacks of the Millennium Development Goals was overshadowed by the “persistent selfishness” of several States, as well as the up and downs of the global economy. Negative effects of globalization had contributed to the food crisis, famine, sicknesses, and pandemics, as well as to the destruction of the environment, he said, stressing the need for the preparatory process to advance the sustainable development agenda. In that, he said, harmonization with other United Nations bodies, particularly the Economic and Social Council, would assist in integrating the economic, social, and environmental pillars of sustainability in the post-2015 development agenda. The new programme must be universal, ambitious, and able to respond to today’s immense challenges, in accordance with common but differentiated principles. Women, young people, and civil society must play a role both in the design of the plan and its execution. On climate change, he recalled the result of the Rio+20 document, “The Future We Want”, in managing natural resources. Contributing to limiting the impacts of climate change was the responsibility of all nations, as well as a duty of international solidarity. 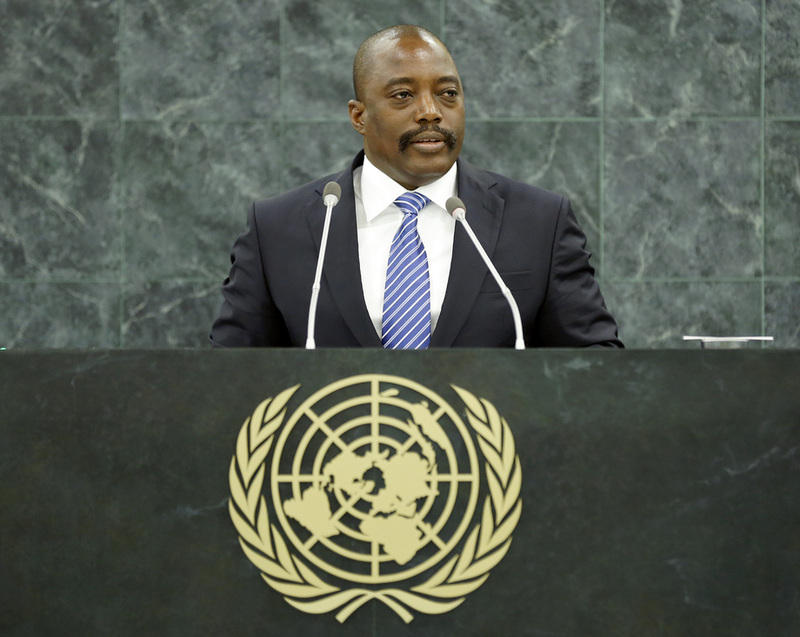 The Democratic Republic of the Congo was committed to managing its natural resources, he said. The Grand Inga project, based in his country, once complete, would be capable of producing 40,000 megawatts of electricity, enough to provide energy to half the peoples on the continent. However, security remained the most important prerequisite for development because without it, development was a hypothetical. Having acted in solidarity by welcoming refugees from Rwanda, the population in the eastern part of the country was now deprived of peace and “continued to count up the dead”, he said. Last July’s attack on women and children — “trapped under a bomb” — in Goma left him questioning the legitimacy of international law. He asked: What happens when refugees are responsible for killing the people of their host country? Even more alarming was the fact that his Government had been conducting talks in accordance with the Addis Ababa Agreement with the armed group responsible for the attack, he pointed out. He went on to say that the Democratic Republic of the Congo was reforming its security sector, including the army and the police; restructuring public finance management to improve the business climate; and organizing local, municipal, senatorial, and provincial elections. Beyond those efforts, sustainable peace depended on putting an end to impunity in all its forms, he emphasized, underscoring the need for all Member States to strictly respect the Charter.